Established in 1991 by the Grand Traverse Regional Land Conservancy, Upper Herring Lake Nature Preserve is a 180-acre tract featuring a nearly mile-long trail that winds through five habitats: old field, planted pine, young northern forest, northern wet meadow and northern shrub swamp, before ending in a small upland section surrounded by marl pit ponds. 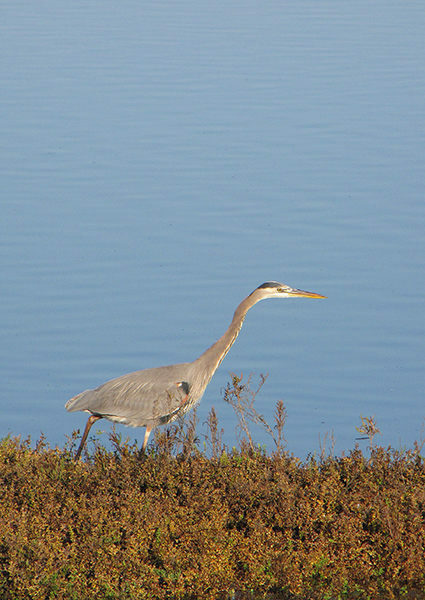 It’s this variety of habitats that allows Upper Herring Lake to provide a variety of birding opportunities. In the spring visitors can listen for bitterns and rails in the wet meadow and shrub swamp or spot woodcock darting overhead in the old fields. Waterfowl gather in the marl pit ponds while sandhill cranes are among the birds that nest there. The heart of the preserve is the 2,800 feet of frontage along the west side of Upper Herring Lake. The 542-acre lake is connected to Lower Herring Lake via Herring Creek with M-22 extending north between them. Most of the Upper Herring Lake Trail is a two-track that heads east from the trailhead parking area into a lightly forested area and then swings south through meadows and a fallow field. In less than a half mile the two-track ends and gives way to a true foot path that enters a birch forest and quickly arrives at the preserve’s boardwalk. 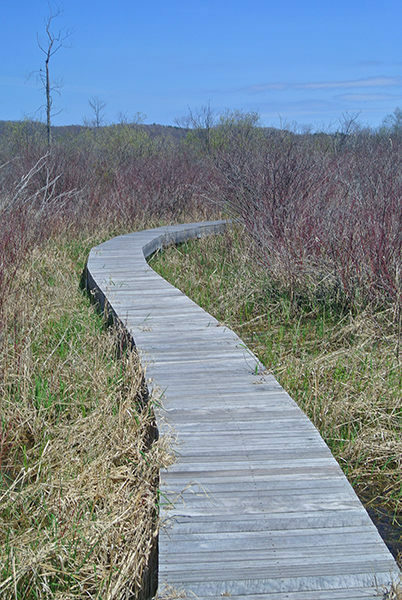 The 900-foot boardwalk is an impressive structure as it winds through a northern shrub swamp and wet meadow, providing views in every direction while keeping your boots dry. 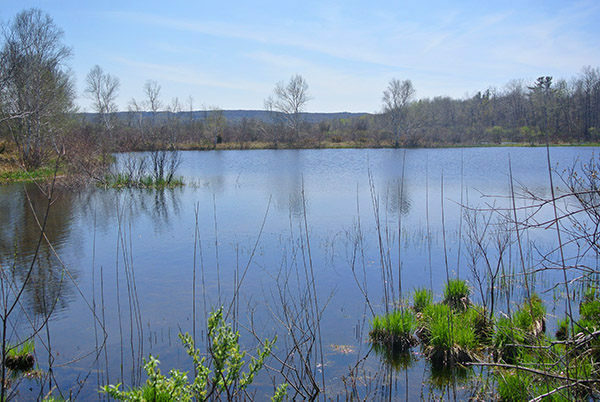 At Mile 0.7, the boardwalk reaches a forested upland area, with a foot path leading to the edge of the historic marl pit ponds. Marl is a lime-rich mud, a mixture of clay and carbonate of lime. In the late 1800s and early 1900s, farmers excavated marl from pits like these and used it as fertilizer in their sandy fields. The marl may have been free but marling was labor-intensive and once alternative fertilizers became readily available the practice soon disappeared. From the marl pit ponds, the only way back to the trailhead is to backtrack. There are no facilities at Upper Herring Lake Nature Preserve trailhead other than parking. There is are no vehicle entry fees at Upper Herring Lake. The nature preserve is open year-round. The trailhead for Upper Herring Lake Nature Preserve is posted along M-22, 4.3 miles south of Elberta or 3.6 miles north of the Arcadia Dunes-Baldy Trailhead. The preserve sign and parking lot is on the east side of the road, next to an old schoolhouse.